The Unofficial Wisconsin Central Division Home Page HAS MOVED!!! "The Wisconsin Central Fans and Modelers Page"
I have decided to move this site to the same server where I am hosting SD40.com to take advantage of the features available with my current hosting provider. No more banner ads and the ability to take advantage of what Web technology have to offer, because the Wisconsin Central fans deserve it! 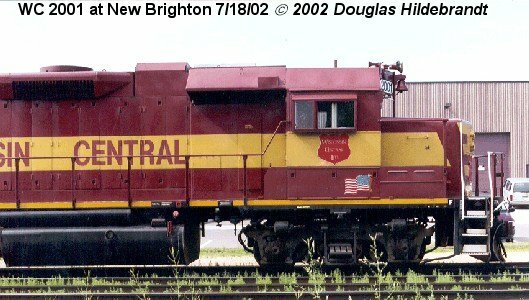 This page was also formerly the "Unofficial Wisconsin Central North American Operations Page".